This is our favorite project! There is a new Australian animal habitat in Melbourne... Florida. The Brevard Zoo has a wonderful place where kangaroos and humans interact. People have to stay on the path, but the kangaroos can go wherever they like. 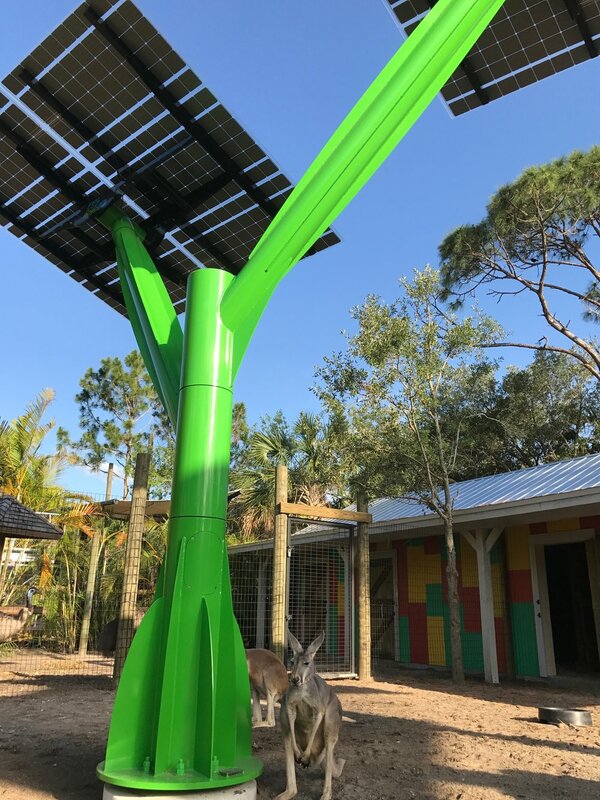 It's that much more remarkable because it's all shaded by sculptural solar "trees.," which complement all the other conservation initiatives at the zoo, and emphasize their advocacy for the natural environment. The solar trees even power the komodo dragon house. Thanks go to FPL's SolarNow program and the contributions of its members.